Who wouldn't want to sport a BDIGI Digi Pouch with its hip 3D screen headphone print design and soft plush interior? 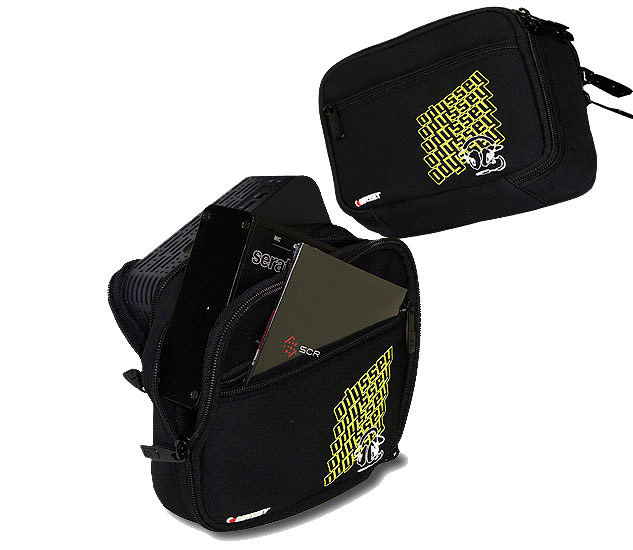 Whether carried on it's own or in one of our popular Redline™ Series bags, the neoprene stretch fit material and suede interior lining makes it perfect for protecting your interfaces, headphones, hard drives, and other essential digital gear accessories from unwanted wear and tear. 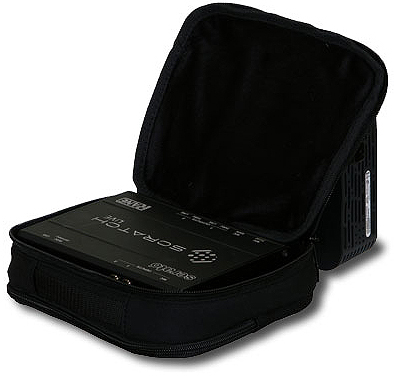 Includes an exterior pockets big enough for cables, an iPod, memory sticks, and other smaller items. Very convenient, and very cool! Main Compartment Int. Dims. : 8" x 2" x 6.5"
Secondary Compartment Int. Dims. : 7.75" x 1" x 6.25"
Exterior Pocket Dims. : 7.5" x 4.5"